What causes CRE infections? How does CRE spread? What are risk factors for a CRE infection? How do CRE bacteria develop? What are symptoms and signs of CRE infections? What type of specialists treat CRE infections? How do health care professionals diagnose a CRE infection? What are treatment options for CRE infections? Are there home remedies for a CRE infection? Is it possible to prevent a CRE infection? What is the prognosis of CRE infections? CRE (also termed carbapenem-resistant Enterobacteriaceae) are bacteria that have developed resistance to multiple antibiotics, including carbapenem. CRE can cause many types of infections and are difficult to treat. CRE bacteria develop when genetic material develops resistant mechanisms to antibiotics and is then transferred to other bacteria. Health care professionals who treat CRE include emergency medicine physicians, infectious disease specialists, hospitalists, critical care specialists, and pharmacists. Diagnosis of CRE infections usually involves demonstrating the organism's resistance to multiple antibiotics, including carbapenem, and by PCR tests. Treatment of carbapenem-resistant Enterobacteriaceae infection is difficult and should involve a consult with an infectious disease specialist to help determine what mix of antibiotics may be the best choice for each individual patient. Prevention of CRE infections is possible using guidelines provided by the Centers for Disease Control and Prevention (CDC). Risk factors for CRE infection include contact with a person infected with CRE, contact with an instrument (for example, an endoscope) that has been contaminated, individuals who have received multiple antibiotics and/or have been treated outside the U.S. in hospitals, and medical caregivers who work in hospitals or other institutions that use many different antibiotics. The prognosis of CRE infections ranges from fair to poor. If sepsis occurs, the outcome for the patient is death in about 40%-50% of patients. Carbapenem-resistant Enterobacteriaceae bacteria are members of related bacterial genera (termed germs by nonprofessionals) that are commonly found almost everywhere in the world, often colonizing humans and animals (living in or on humans and animal's mucosal surfaces, gastrointestinal tracts, and on some areas on the skin). However, carbapenem-resistant Enterobacteriaceae possess a unique genetic makeup that allows the bacteria to make an enzyme that protects CRE bacteria from a powerful antibiotic: carbapenem. The most notable genera that can share and even transfer this genetic trait to other members of the Enterobacteriaceae are E. coli and Klebsiella pneumoniae. However, other bacteria like Pseudomonas aeruginosa can become CRE bacteria. Because these bacteria generate similar problems for patients (especially treatment difficulties), most investigators simply group them together and term them CRE bacteria (some researchers term those bacteria that produce the enzyme carbapenemase CP-CRE bacteria). Similar types of components are termed KPC (Klebsiella pneumoniae carbapenemase) and NDM (New Delhi metallo-beta-lactamase). Unfortunately, CRE bacteria are usually resistant to several other antibiotics beside carbapenem and may produce other antibiotic-altering substances like beta-lactam. CRE bacteria thus are similar to MRSA bacteria in their ability to decrease the bacteria's susceptibility to many antibiotics. Additionally, the use of multiple antibiotics to treat CRE bacterial infections may cause the patient to develop a GI infection with Clostridium difficile. In February 2015, UCLA Ronald Regan Medical Center in California reported two patients died and five others were infected with the drug-resistant superbug CRE. An additional 179 patients may have been exposed to the bacteria. These potential exposures to this bacterium likely came from contamination of an endoscope used to treat pancreaticobiliary diseases at the facility. The bacteria go by many names in the public press; superbug, superbug 2013, nightmare bacteria, and dangerous bacteria are some of the names. Unfortunately, most news stories have only a few minutes to explain a somewhat complicated situation involving genetics, bacterial adaptation to environmental pressures, and the impact on human populations that makes the CDC researchers, scientists, and doctors concerned. Although most CRE infections occur and spread in hospitals, there are more reports that some CRE bacteria are becoming community-acquired (spread to people in the community), which could make CRE infections even more numerous and difficult to treat. In a 2017 report by the CDC, a CRE strain of K. pneumoniae was isolated from a patient in Nevada (their infection was acquired in India while the patient was hospitalized there) who died from sepsis; this strain was tested against all known antibiotics (26 antibiotics available to U.S. doctors) and was found resistant to all of them. If such strains become community-acquired, they will truly be nightmare bacteria. This resistance to carbapenem is not the only reason CRE bacteria are considered dangerous. CRE strains are typically resistant to several antibiotics. CRE are transmitted from person to person, usually by direct contact with contaminated feces, skin, or instruments used in hospitals. Risk factors for CRE infection include close contact with an individual known to be infected with or colonized by CRE bacteria. Individuals who are infected with CRE are usually hospitalized. Instrumentation such as endoscopy carries a risk of CRE if the instrument has not been properly sterilized. People treated outside of the U.S. in hospitals are more susceptible for CRE (especially in India). Individuals who have received multiple antibiotics in the recent past, especially if they had been hospitalized, are at increased risk for developing CRE. Health care professionals who work in hospitals, especially intensive-care units, or other areas such as nursing homes, that use many different antibiotics have an increased risk of getting CRE infections or colonization. The genetics of Enterobacteriaceae are complex; many genera and strains possess genetic material that codes for resistance against many types of antibiotics. As a strain develops resistance to an antibiotic, not only does it become resistant to that antibiotic, the genes that confer resistance to one antibiotic become linked to each other. Consequently, as different antibiotic resistance occurs, the genetic material can become linked together thus conferring antibiotic resistance to several antibiotics in a single bacterial strain. Such bacteria that are resistant to several antibiotics are considerably more dangerous to humans they may infect than are bacteria susceptible to antibiotics. As new antibiotics are introduced, they can pressure the bacteria to adapt to survive even the newest and most powerful ones; bacteria survive by allowing to replicate those few bacteria that develop stable resistance components that are genetically coded and then pass on genetic antibiotic resistance to other bacteria. This new genetic ability is then again linked to other antibiotic-resistant genetic material, thus resulting in "dangerous" bacterial strains that are resistant to many, if not all, antibiotics. That is the current situation for CRE bacteria. Keep in mind that there are strains of CRE bacteria that can fairly easily transfer genetic information to other bacterial strains that do not have multiple drug resistance but may have the potential to be dangerous under certain circumstances (for example, enterotoxigenic E. coli). Although primary-care physicians may be involved in treating CRE infections, often other medical specialists are consulted. Such medical consultants may be emergency medicine physicians, infectious disease specialists, hospitalists, critical care specialists, and pharmacists. Ancillary personnel involved may include microbiologists and infection control specialists in hospitals. Doctors diagnose CRE (and other antibiotic-resistant superbugs) by blood tests called blood cultures. These blood cultures contain the bacteria responsible for infection. To demonstrate whether the organism is antibiotic resistant, a test is done called a drug sensitivity test (modified Hodge test). An antibiotic-resistant superbug is one whose growth is not markedly inhibited in the presence of several antibiotics, one of which is carbapenem. The Hodge test is a simple test that shows the growth of CRE bacteria in the presence of carbapenem. PCR (polymerase chain reaction) tests may also be done to determine which type of bacterium is causing the individual's infection. Treatment of carbapenem-resistant Enterobacteriaceae infections is difficult. Some health care professionals may choose a combination of antibiotics that show some ability to kill or inhibit CRE bacteria from growing. Antibiotics such as aminoglycosides, polymyxin(s), tigecycline (Tygacil), fosfomycin (Monurol), and temocillin have been used with some success in the treatment of CRE infections. Clinicians sometimes label these as drugs of last resort as they may be the last drugs available to safely treat patients with CRE (or other antibiotic resistant) infections. Infectious disease experts should be consulted if an individual is diagnosed with a CRE infection. There are no safe home remedies for CRE. Antibiotic treatments give the best results. Currently, outbreaks of CRE bacteria are small, but it may not remain that way. The CDC and other researchers know that many strains of Enterobacteriaceae can be deadly and difficult to treat even without being resistant to most antibiotics (for example, E. coli 0157:H7). How much damage could E. coli do to humans if it became a CRE bacterium by genetic transfer and retained its current pathogenic characteristics? Researchers and the CDC do not want to see this happen. With additional pathogenic traits (easy person-to-person transfer, the ability to synthesize toxins such as enterotoxins) added to the ability to be resistant to most, if not all, antibiotics, the bacteria could devastate large populations of people. Since there are very few drug companies developing new antibiotics, the survival advantage may tip in favor of the bacterial pathogens, not to the infected people being treated with antibiotics. The CDC further recommends that patients identified with CRE infections should be bathed with 2% chlorhexidine and that areas that house or treat CRE-infected patients undergo strict decontamination treatments. Instruments that may be in contact with, or used to, diagnose, or treat CRE-infected patients should also undergo rigorous decontamination. The instruments used at UCLA were decontaminated, but now the hospital has instituted even more stringent decontamination protocols. In general, the prognosis of CRE infections ranges from fair to poor. If the infection is diagnosed early and appropriately treated, the prognosis may be fair, but if the CRE bacteria reach the bloodstream, death occurs in 40%-50% of infected patients. Humans have many dangerous microbial enemies; researchers and health care professionals think CRE bacteria could be the first wave of many others. 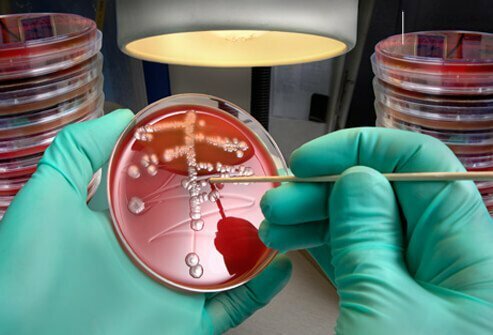 The CDC is giving guidance to health care workers about how to possibly reduce or prevent a large-scale outbreak of CRE bacteria. In an effort to determine who may have been exposed to CRE bacteria, UCLA has offered free home-testing kits that can be analyzed at the hospital. Chen, L., et al. "Pan-Resistant New Delhi Metallo-Beta Lactamase-Producing Klebsiella pneumoniae-Washoe County, Nevada 2016." MMWR 66.1 Jan. 13, 2017: 33. <https://www.cdc.gov/mmwr/volumes/66/wr/mm6601a7.htm? D'Angeli, Marisa. "Responding to CRE in Washington: Public Health -- Healthcare Partnership." Washington State Department of Health. Feb. 6, 2014. <https://www.wsha.org/files/177/Marisa%20D'Angeli,%20MD%20-%20CRE%20Need%20to%20Know.pdf>. Falagasa, Matthew E., Panagiota Lourida, Panagiotis Poulikakos, Petros I. Rafailidis, and Giannoula S. Tansarli. "Antibiotic Treatment of Infections Due to Carbapenem-Resistant Enterobacteriaceae: Systematic Evaluation of the Available Evidence." Antimicrob. Agents Chemother. 58.2 Feb. 2014: 654-663.<http://aac.asm.org/content/58/2/654.full>. Fraser, Susan L. "Enterobacter infections." Medscape.com. Sept. 5, 2017. <http://emedicine.medscape.com/article/216845-overview#showall>. United States. Centers for Disease Control and Prevention. "Facility Guidance for Control of Carbapenem-resistant Enterobacteriaceae (CRE) -- November 2015 Update CRE Toolkit." Apr. 18, 2017. <http://www.cdc.gov/hai/organisms/cre/cre-toolkit/>. What were the symptoms and signs of your CRE infection? How were you infected with CRE? Drug resistance (antimicrobial resistance) is the ability of bacteria, fungi, parasites, and viruses to grow, even in the presence of a drug that would normally kill it (or limit it's growth). Drug resistance is a growing problem, particularly for infections such as MRSA, VRE (vancomycin-resistant enterococci), tuberculosis, HIV, STDs, gonorrhea, flu, pneumonia, malaria, E. coli, salmonella, Campylobacter, which causes diarrhea and gastroenteritis. Learn how to protect yourself from resistance to drugs. Tigecycline (Tygacil) is an antibiotic used to treat complicated skin infections caused by susceptable strains of bacteria, for treating complicated intra-abdominal infections caused by susceptible strains of bacteria, and to treat community-aquired bacterial pneumonia. Side effects, dosage, drug interactions, and patient safety information should be reviewed prior to taking this medication. Urinary tract infections (UTIs) are very common in children. 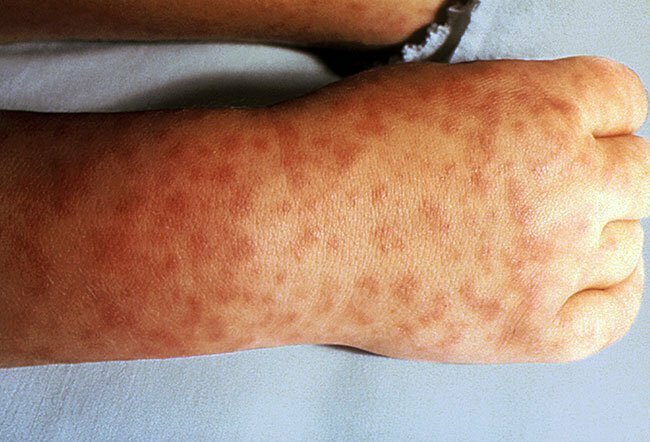 Symptoms and signs include fever and abdominal pain. Associated symptoms and signs include flank pain, vomiting, and blood in the urine. Treatment for a UTI involves antibiotic therapy.